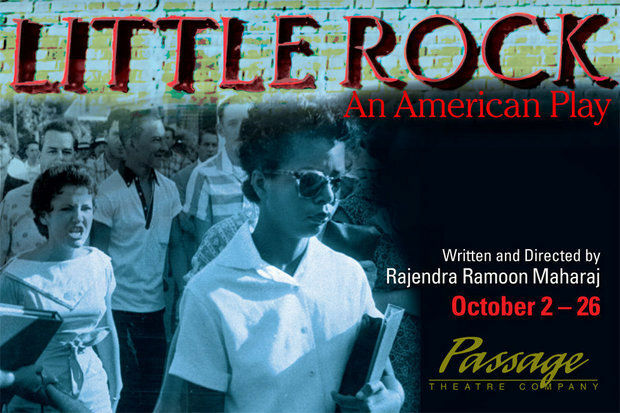 Passage Theatre in Trenton is doing a play on Little Rock, the famous school segregation case that cracked the Jim Crow rules. The play has been extended through November 2, with performances Thursday through Sunday. Originally it closed the day before the Moral Monday Rally, sponsored by The Campaign to End the New Jim Crow – Trenton and Princeton. The campaign aims to reform mass incarceration practices that now mimic the old Jim Crow laws. Touching personal narratives segue into searing and scalding confrontations. What is remarkable is how little use there is for dramatic contrivance. There is no need considering the horrific realities that these students confronted and have been recorded. It runs through November 2 at Passage Theatre’s Mill Hill Playhouse and I’m really hoping to get down there. SAFE is the word for parking across the street from the jewelbox theater, no worries on that score. Saltzman warns that it’s nearly three hours long, maybe the 3 p.m. matinees on 10/25 or 10/26 will work best.